A hunch? Or an emotion? What’s the difference? In preparation for my radio campaign to promote Finding Zoe I found myself preparing to answer that question. Many of the characters in the story had a gut feeling about Zoe—and acted on it—and as a result, she was led home. They had lots of emotions, as well, as we all do. So how is having a hunch different than feeling an emotion? Here’s my take. An intuition or hunch is more like an inspiration rather than a thought. Often, it comes to us as a feeling or sense about something. We know something, even though we don’t know how we know it. It can also come to us in words or pictures or as a combination. However it comes to us, it is an inner knowing that guides us—the source of which isn’t our bank of thoughts or even necessarily our past experiences. It can come from a far away place. In my book, Your Heart Knows the Answer, I explain that when I say that our hearts know something I am not talking about an emotion or sentimental feelings of love. I use the term your heart knows as a metaphor for our inner wisdom. Our emotions, on the other hand, especially the negative ones like fear and anxiety, stem from our thoughts. This may seem surprising, but it ‘s true. We may be startled by a barking dog, for example. But then a thought about the dog in our future makes us afraid. I think that we can feel love or joy or grief as pure emotions, but when we feel afraid, it is our thoughts that frighten us. It’s important to be able to distinguish our intuition from our emotions. While we may feel both, our intuition will be clear and radiant, however subtle, whereas our emotions will often leave us in a fog. Too often, we react when we are afraid, rather than pausing and then responding, when we are more apt to take the right action. Our intuition is to be trusted and acted upon. Tweet This. The characters in Finding Zoe did, and a miracle happened. When we trust our intuition, we bring harmony to ourselves and to those around us. I agree, our “gut” feeling can be trusted to lead us beautifully. We often over-think things which can create fear and doubt. 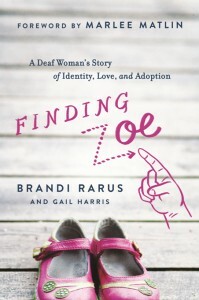 The miracle of “Finding Zoe” is a perfect example of listening to the wisdom of your heart. Thanks, Debra. Sometimes our gut tells us things we don’t want to hear, and it still leads us beautifully. I appreciate you weighing in on this. Many blessings to you, my friend. Nicely thought out, ironically something I am working on this month to publish. Subconscious and Emotions, explaining each and the uses of a bit more in depth. Thank you for sending such short nice articles, always enlightening from another source and thought process. Thank you Micheleelys. Is the piece you are working on about intuition, as well? I meant that she was led to the perfect home. Thank you for asking. I am glad that you are enjoying my blog posts. Have a great weekend.